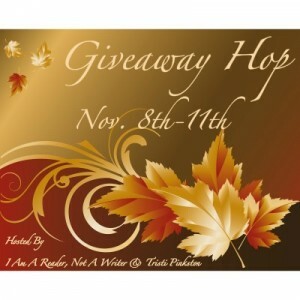 Welcome to the November Giveaway Hop! There are hundreds of blogs participating and each has their own entry rules and geographic limits, so be sure to read the rules for each one. This hop starts November 8th and and runs through November 11th, midnight. WANT TO WIN THIS BOOKS? You must be at 13 years old. NOTE: If the wiinner lives outside the US, this book will be sent from the Book Depository, so make sure you are in their free shipping area. Anxious to read this, thanks! Thanks so much for the chance to win a very awesome book. Thank you, thank you for this fantastic giveaway! Love Richelle Mead! 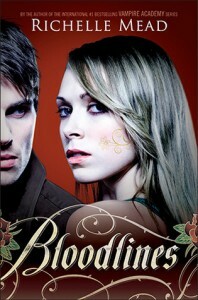 Iv always been a fan of VA and Richelle Mead and this spin off is a total add on my collections! Thanks for making this an international giveaway! Thanks a lot for the giveaway and have a great day! So awesome! Thanks for the giveaway. A big fan of the VA series here. I’ve read up to Book 4, so once I’ve read Spirit Bound & Last Sacrifice, I’ll be ready for its spinoff. THANKS! I tried entering last night, but the internet froze in processing, so forgive me if there’s a double entry.